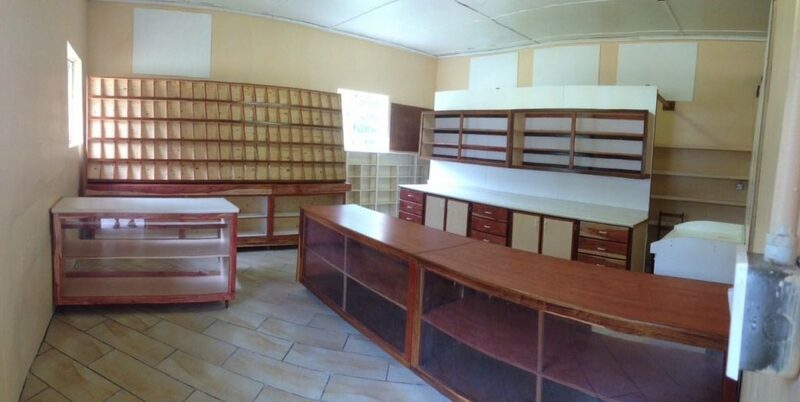 Having just completed a full renovation of the Christian Bookroom at Chitokoloki we felt we had to let folks know. The bookroom has been tiled, painted, new cabinets, cupboards and displays and looks fantastic. We have also added a lot of good Christian books and good quality Bibles so people have a very good selection of reading material in English and also the local languages. 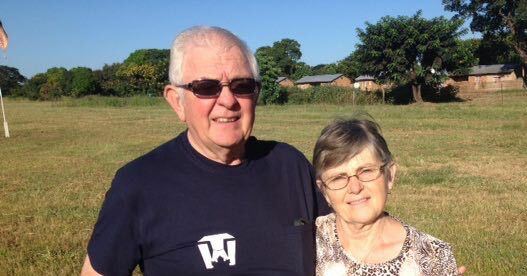 We have Bibles in six different Zambian languages and also a number of books mainly in Lunda and Luvalle. We would express our thanks to Philip Grainger who built all the new displays. 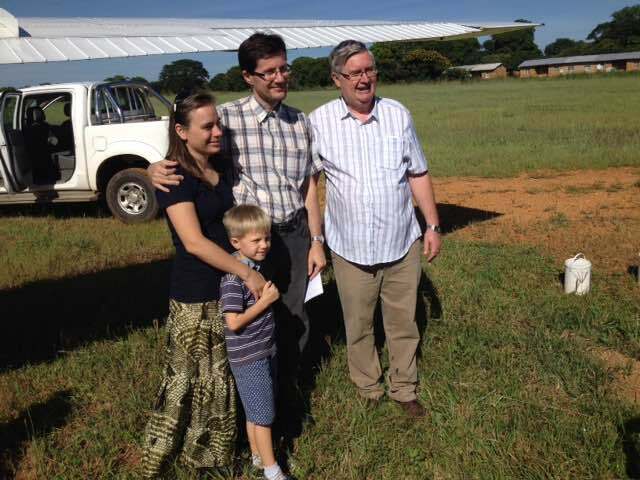 At the same time as the Team Workers group, Chitokoloki has enjoyed the visit of Philip and Jennifer Grainger who have made numerous visits to Chitokoloki, Philip going back to 1991 when he visited for the first time. 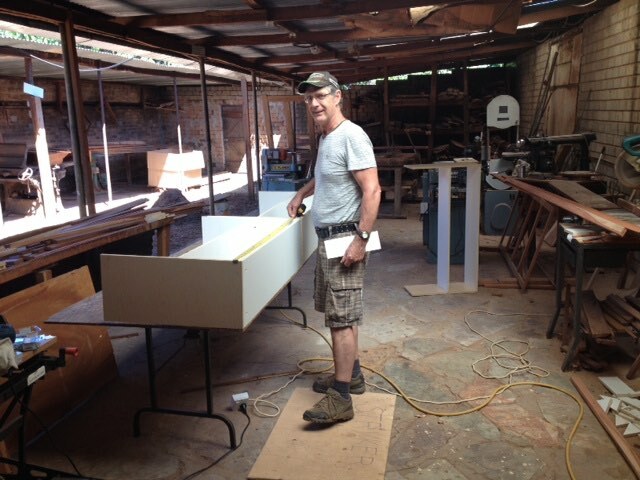 Over the years Philip has contributed greatly in Cabinet making, carpentry and cupboards for hospital and houses. This visit he also re-outfitted the Bookroom as well as a number of other projects throughout the Mission. 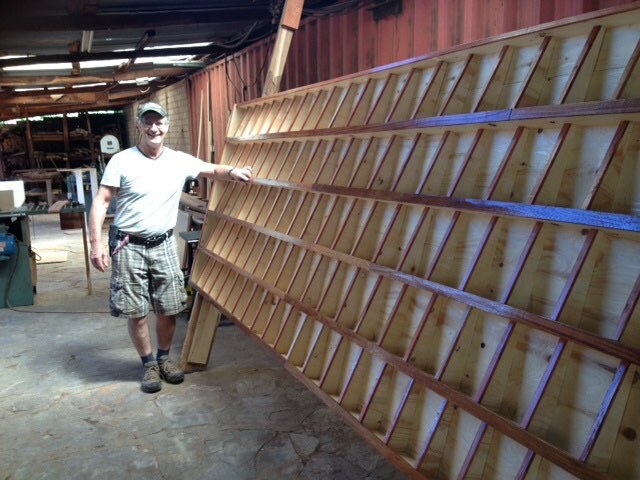 Below Phil is seen beside a new book display for the Christian Bookroom. 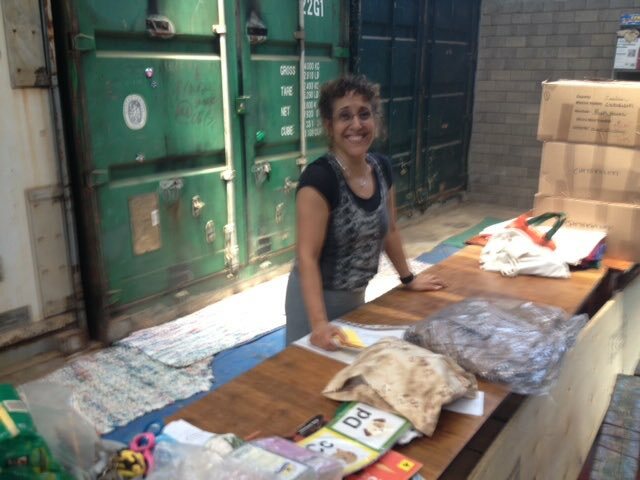 Jennifer was a great help in the “mall” opening and sorting boxes of supplies that have arrived from many places, mainly through ACCTS and MMN. This is a tedious task but much appreciated. 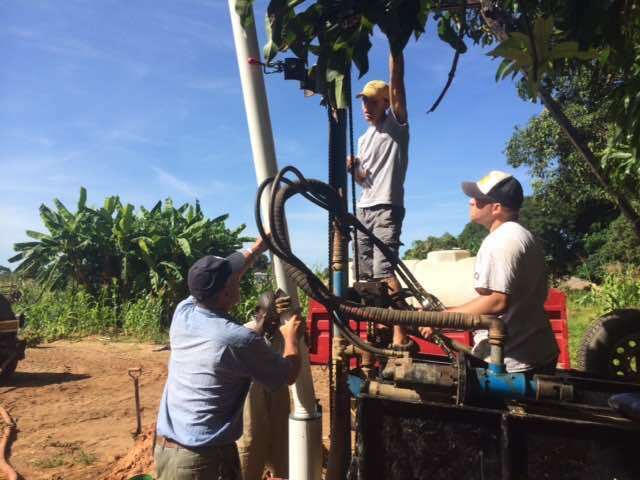 As mentioned in the last post, a number of wells were drilled over the last month. 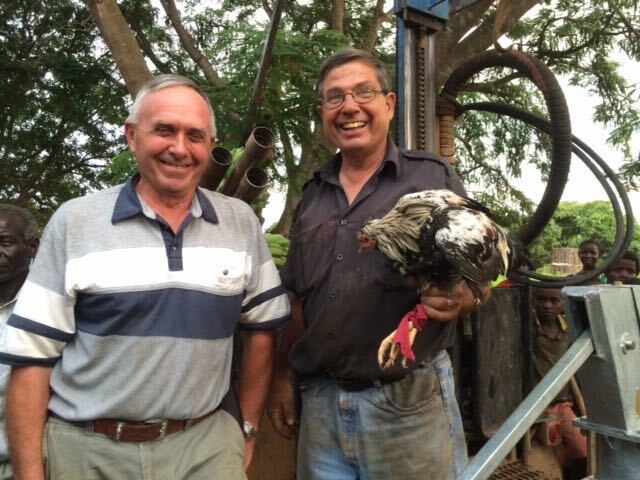 The list of those wanting wells in there villages continues to grow. Praying that someone may come out at different time of the year and drill some more. It has been great to have another visit by the Team Workers crew who have again being a tremendous help. Don and Carol McKay, Murray Riddolls, Nathan Harris, Ron Spohr, Ken Wagler and Tim McDougall. 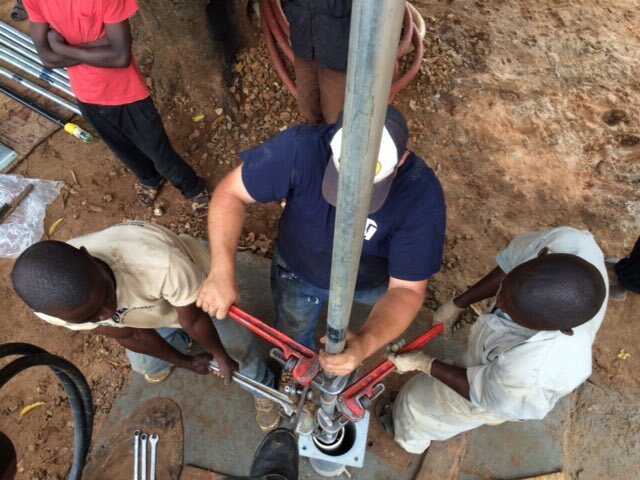 Mark Heikoop and Brad Bouman joined them and were introduced to the well drilling challenges in Zambia. The station has been a hub of activity for the last month and much was accomplished in so many improvements, maintenance and electrical and solar installations in all areas. Don advised us that Chitokoloki Mission now has 65 kva power at hospital and slightly more for houses and maintenance areas, all generated from solar. 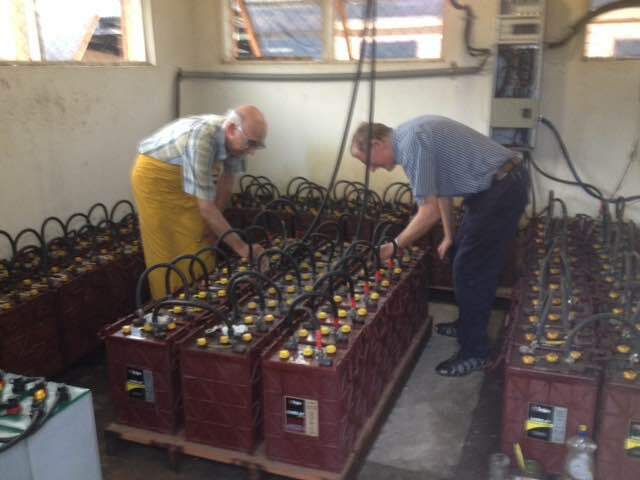 In the picture below Ron is seen working with Robert Clark checking the batteries in the bank at hospital where there are 96 x 1200 AH batteries. 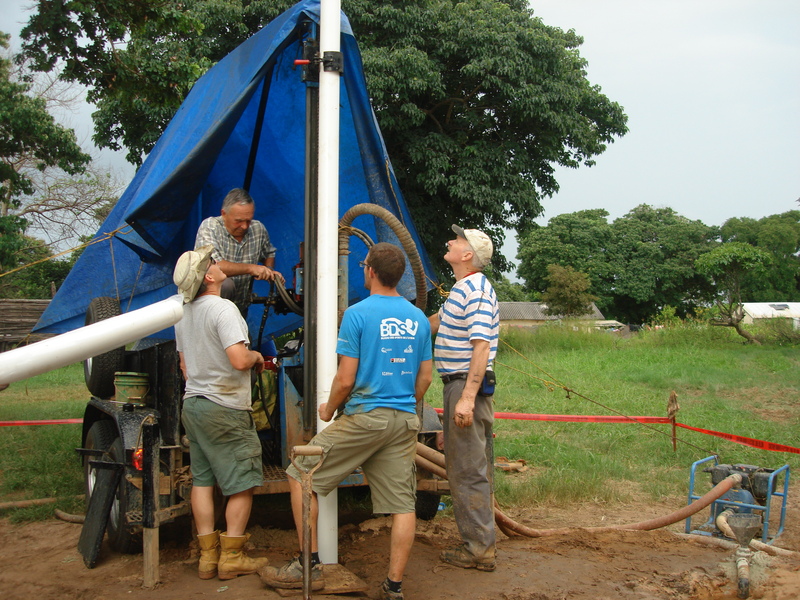 Ken, Mark and Brad worked hard in drilling several wells in the Chitokoloki area as well as at Katombi where Margie Gould lives and also near Dipalata Mission. 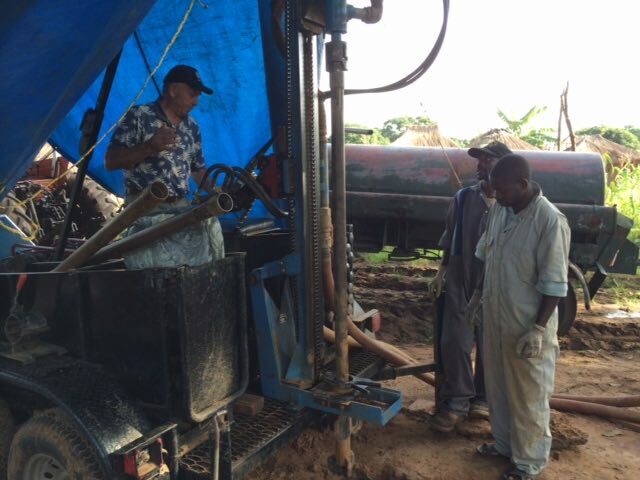 Going to other areas with the drill rig was a challenge and involved packing all that would be required and towing the well drilling trailer over some very rough and muddy roads.The wells are all very enthusiastically received by the villagers and are always a real blessing to them. Chitokoloki also enjoyed at the same time a visit by Dr. and Mrs Zoltan & Eva Maszarovics and their son Luke who were at Chitokoloki for 2 weeks visiting from Kalene. Pictured below are the four Team Workers visitors plus Chris Brundage, Henry Dyck and Philip Grainger.